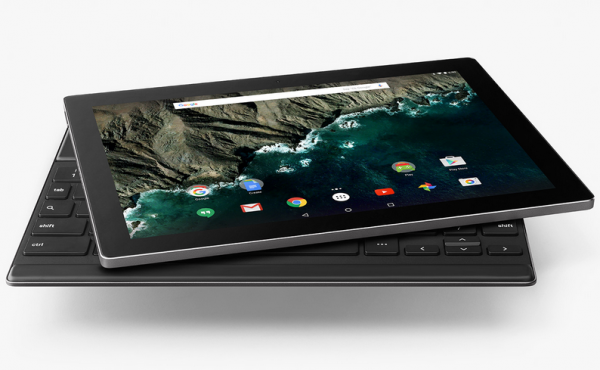 Google’s event in San Francisco lived up to their tradition of surprising us with their latest devices, and the event held yesterday announced the arrival of the Nexus 5X and the Nexus 6P, updates to Chromecast and a new tablet in the Pixel lineup called the Pixel C to take on the likes of Microsoft’s Surface Pro 3 and Apple’s iPad Pro. Unlike the previous Pixel that ran on Chromebook OS, the Pixel C tablet runs on Android Marshmallow 6.0 which was a bit of a surprise to most of us. What doesn’t come as a surprise is the quality and build of the Google-made device, the Pixel C is quite a looker with its anodized aluminum design. It comes with a 10.2 inch display sporting a resolution of 2560x1800 pixels, and a display density of 308 PPI (Pixels Per Inch) with a super-bright backlight capable of 500 nits. Pixel C is powered by a Nvidia Tegra X1 SoC (system on chip) with Maxwell GPU coupled with 3 GB of RAM which promises a high-end gaming experience. Also featured on the device are four microphones that should assist in picking up your voice commands and the reversible USB-Type C port for blazing fast data transfer. Although the device makes for a pretty impressive tablet, it’s hybrid tag arises from the magnetically-attached keyboard which doubles up as a stand and as a display cover when not in use. The Pixel C packs a 38.5 watt hour rechargeable Lithium Polymer battery that will last up to 10 hours on web browsing, Wi-Fi, music and videos. 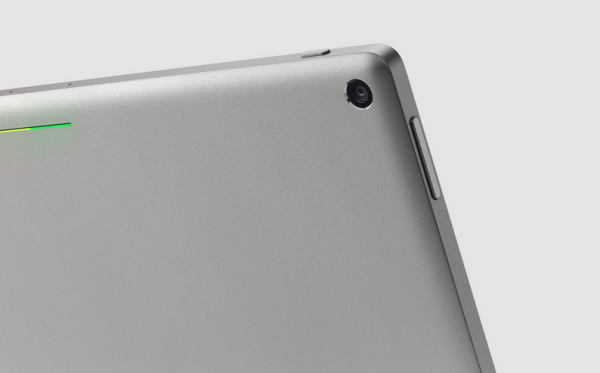 What is a little disappointing for the Pixel C is the rumored absence of a Primary or Secondary camera – no word of either was mentioned during the launch or on the Google blog although we did see a picture that seems to suggest otherwise. The Pixel C, along with the other Google Hardware devices can be purchased from the Google Store. The Pixel C will be available in two storage options: 32 GB priced at $499 (INR 32,800) and 64 GB priced at $599 (INR 39,500). 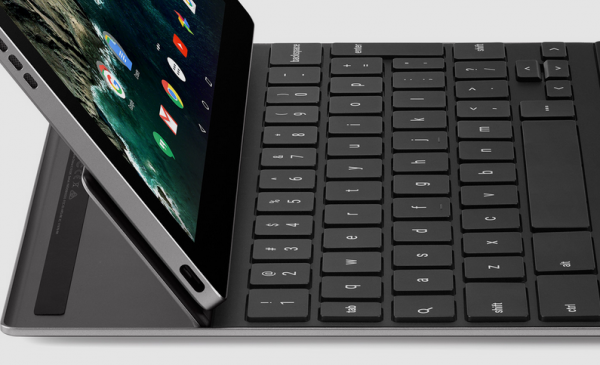 The Pixel C magnetic keyboard will be sold separately and is priced at $149 (INR 9,800).